Iceland Express was a discounted carrier that was based in Keflavik, Iceland with the purpose of giving Icelanders an alternate low-cost carrier besides the nation’s flag carrier Icelandair. 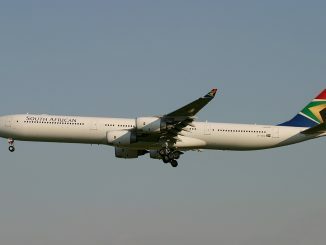 Formed by the parent company Northern Travel Holdings in 2002, the airline started flights in February 2003 with flights from Keflavik to London-Stansted and Copenhagen. 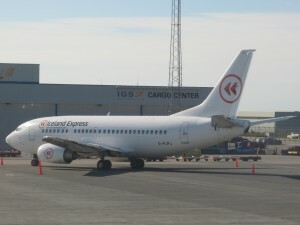 Iceland Express leased all of their fleet, starting in 2003 with two Boeing 737-300s from English leasing company Astraeus Airlines. Iceland Express would consistently jump from leasing company to leasing company after starting at Astraeus, moving in 2005 to JetX Airlines with two McDonnell-Douglas MD-82s and then to Hello Airways in 2006 with four McDonnell-Douglas MD-90s. While Iceland Express was switching leasing companies, the Iceland economy was collapsing. By 2008 the Icelandic economy had completed collapsed as well as Iceland Express’s parent company Northern Travel Holdings. Northern Travel was parent to Iceland Express and Danish carrier, Sterling, at the time of the bankruptcy. 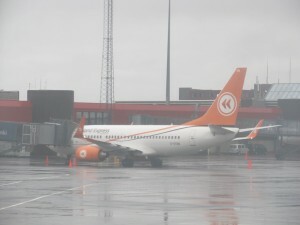 Northern Travel was able to keep Iceland Express afloat through the financial crisis as the owners merged with another Icelandic company, Fons. Sterling Airlines would cease operations before the parent company’s merger. Fons underestimated the debts that Northern Travel had accumulated though and by the years end they too were having financial problems. Iceland Express was quietly passed from Fons to another company closely associated with Fons called Eignarhaldsfelagid Fengur hf. 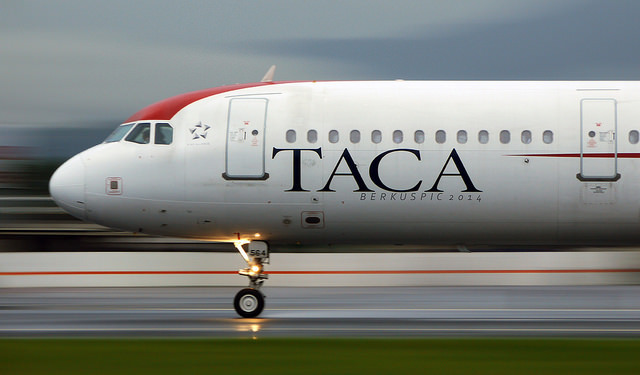 Fengur had also bought a 100% stake in Astraeus Airlines before acquiring Iceland Express. Due Astraeus and Iceland Express being in the same parent company, Iceland Express once again switched leasing companies to move back to receiving Boeing 737s from Astraeus. Iceland Express used the rebuilding of the Icelandic economy in 2009 as a way to gain new flights and even experiment with certain cities. The airline experimented with flights from Copenhagen to Egilsstaðir and Akreyri on Boeing 737s. The airline also looked westward and started flights to Winnipeg and Newark with a mix of Boeing 737s and newly acquired Boeing 757s. By 2011 Iceland Express was up to seven aircraft (3 Boeing 757-200s, 2 Boeing 737-700s, and 2 Boeing 737-300s) flying to 17 cities. Late 2011 is when Iceland Express’s high flying expectations came crashing down. After announcing and starting service to Orlando, Chicago, Miami and Belfast in late 2011, Astraeus went bankrupt. Astraeus claimed a lack of demand for leasing outside of Iceland Express was the result of the grounding as well as an unfortunate string of aircraft difficulties. The Iceland Express’s entire fleet was grounded and dozens of flights were cancelled as the airline looked for alternate planes to replace the ones they lost. Eventually Iceland Express found a new leasing company with CSA Czech Holiday, loaning them two Airbus A320s. However, the decrease in fleet size meant Iceland Express had to shrink its route map, cutting all North American flights as well as a good number of their European routes. 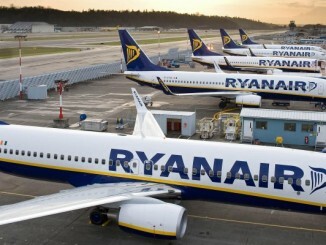 The airline struggled to return to its former glory through 2012. Heated competition from Icelandair and new carrier WOW Air as well as European mainland carriers such as GermanWings and EasyJet left Iceland Express struggling to find a profit. By summer 2012, Iceland Express started talks with WOW Air to formally merge. The deal between the two Icelandic carriers was agreed to and by October the Iceland Express name was removed from the flight board. WOW Air would take over Iceland Express’s fleet and destinations, some of which overlapped WOW’s. WOW Air continues to fly today between North America and Europe from Iceland utilizing Airbus A320s and A321s. Editor’s Note: Our Throwback Thursday series revisits many legacy airlines of the past, along with some that weren’t so well known. Join our writers each week as they look back on these airlines by saving this link.